Create, save and restore the windows opened in the Finder. 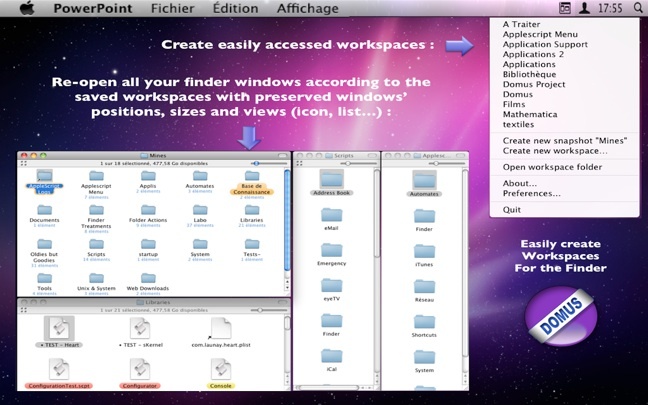 Domus creates workspaces for the Finder making easy to restore working contexts with automatically opened windows. It has been developed to bring the Finder additional features and remains unobtrusively in the menu for easy and fast access. Just ask Domus to remember the opened windows and the way you want them placed and Domus will get them back in place by itself, upon demand. In a few words: Add workspaces management to the Finder!